Mermaids and Fairies Oh My! If your little girl (or yourself!) has ever wanted to be a mermaid this is the session for you! A magical mini session complete with beautiful tails and accessories, mermaid makeup and more! These limited sessions are offered only in the summer months and book quickly! If you'd like to get planning your custom mermaid session message me today for details! Do you have magical little fairies at your house? Book a limited edition fairy session to let her magic shine! 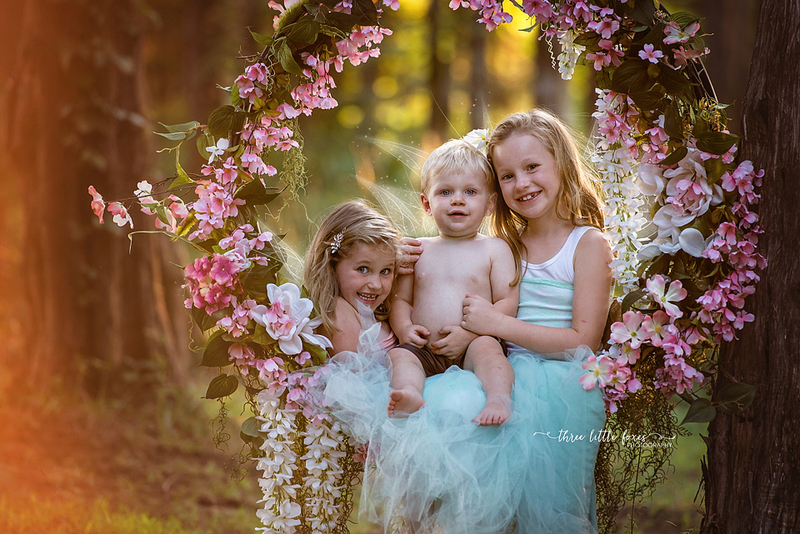 Offered only in the spring and autumn months, our fairy sessions include styling, a stunning "fairy swing" and of course extra magical editing! Contact me today for more details and start planning your magical session today! More information about these amazing fully custom sessions coming soon!